The New Clark City Sports Complex is expected to be ready by September. 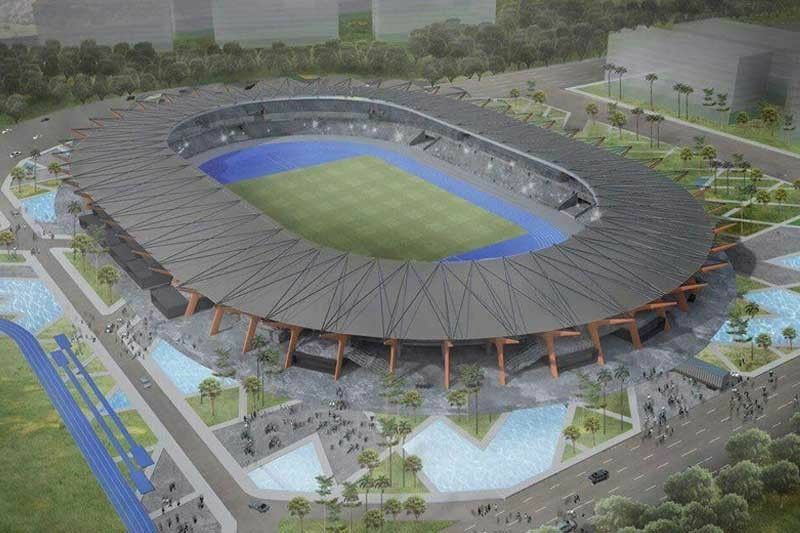 TAGUIG—To prove that the Philippines will not give up its Southeast Asian Games hosting rights, Philippine SEA Games Organizing Committee chairman Alan Cayetano said that the construction of the New Clark City Sports Complex in Capas is at a fast track. "We are ahead of target," Cayetano said in a press conference on Saturday that shed light on the latest about the SEAG hosting gig at Max's Kabisera. "Wala pong katotohanan that the major venues ay may delay." The construction of the said sports complex is seen as one of the factors that led to rumors that the hosting of the SEAG could be in peril, something the PHISGOC vehemently denied on Friday and was reiterated in the said presser. In fact, he bared that the said venue, the main battleground of the SEAG from Nov. 30-Dec. 11, is now 60 percent complete. With that said, the former senator and Foreign Affairs secretary is bullish that the New Clark City Sports Complex will be done by September or maybe even sooner "para buong October at buong November, magamit din ng athletes natin for the trials and training at saka festivals."